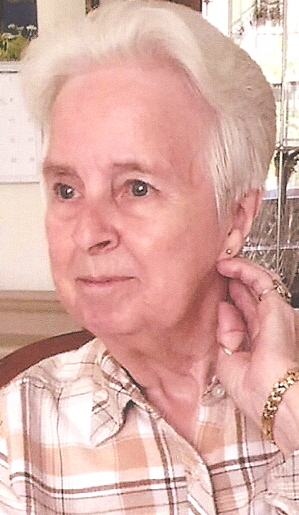 Verona Tysinger Lee 73 of Norwood died Sunday Evening, February 10, 2019 at her home surrounded by her loving family. Funeral Services will be held at 2:00 PM Wednesday, February 13, 2019 at Edwards Funeral Home Chapel. Rev. Kim Thompson will officiate. Interment will follow in Wightman United Methodist Church Cemetery. The family will receive friends at the funeral home one hour prior to the service. Mrs. Lee was born April 20, 1945 in Davidson County to the late Stokes and Zella Tysinger. She was a retired seamstress. She is survived by her husband Donald Wells Lee of the home. Two daughters, Malinda Gallimore (Bob) and Angie Gallimore (Mike) both of Norwood. Two brothers, Ronald and Robert Tysinger both of Candor and one sister, Pat Berrier of Lexington. Four Grandchildren, Dustin Lee (Holly), Kim Thompson, Eric and Scott Gallimore. Five Great-Grandchildren, Reece, Reid, Chloe, Anna and Camden. She was preceded in death by two sisters and three brothers, Maxine Hicks, Shirley, Clarence, Kenneth, and Dale Tysinger.